The Duke and Duchess of Sussex’s royal tour brought them to the next destination – Fiji. The couple will be staying at the island country’s famous Grand Pacific Hotel, which is where the Queen resided in back in in 1953. 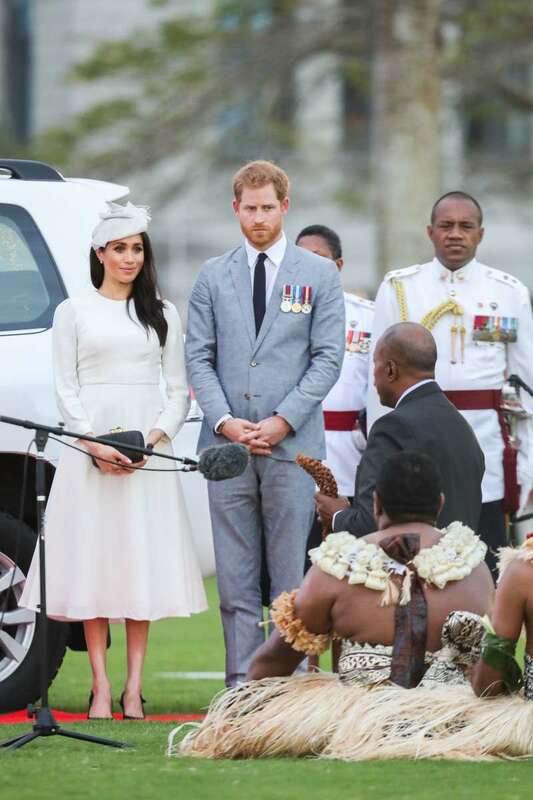 Fiji is not a stranger to royal visits as the Queen’s children – Prince Charles, Prince Andrew, and Princess Anne – have also graced the country with their presence. Meghan and Harry looked picture perfect in their classy outfits as they appeared at the welcome ceremony in the capital of Fiji, Suva. But it was the parents-to-be black-tie reception looks that stole all the attention. 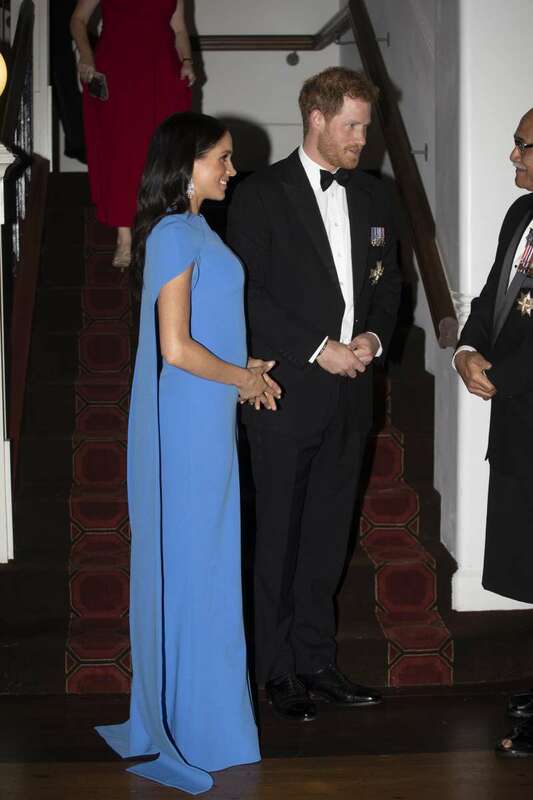 Many royal fans were especially delighted and mesmerized to see the Duchess in a floor-length gown in a color she has never worn before. We can imagine all the guests holding their breaths at the stunning beauty of Prince Harry’s wife when she stepped out for the state reception in Fiji. The Duchess appeared wearing a real show-stopper – her first ever royal gown. READ ALSO: Meghan Markle Stuns In The Same Dress Prince Harry's Rumored Ex, Jenna Coleman, Wore In June. Why Did She Make This Choice? The floor-length light blue frock with an elegant cape silhouette is by a designer SAFiYAA. We have to admit, Meghan has never looked so regal and graceful before. The beautiful shade of blue is a well-thought choice. 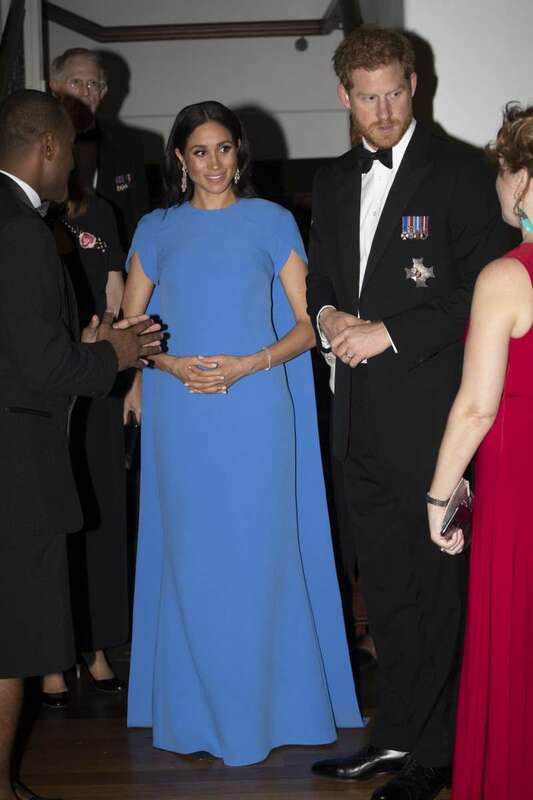 It is believed that it’s a nod to the nation as one guest noted that the gown was clearly 'Fijian Blue'. It might have been the way Meghan paid a tribute to the welcoming hosts. The Duchess opted for a feminine hairstyle with loose, wavy locks. She accessorized her look with a pair of dazzling diamond drop-earrings, which seemed like the perfect choice for the outfit. Wow - first evening dress! Absolutely regal! 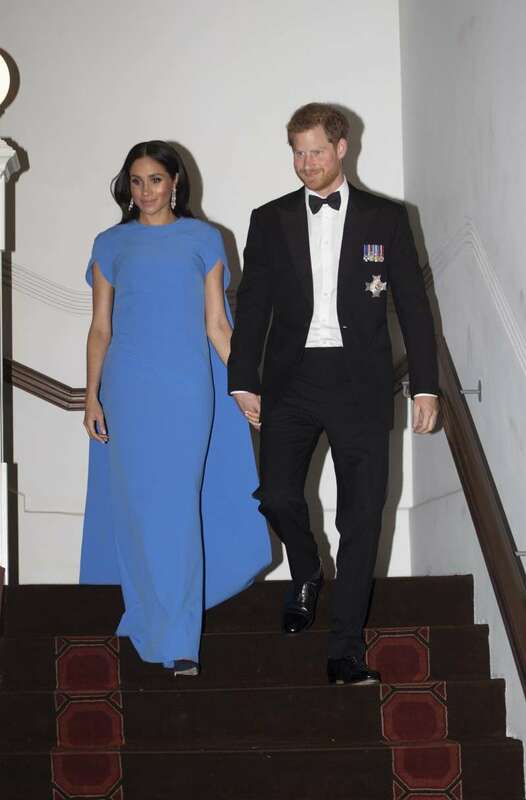 Beautiful Regal Duchess Meghan is pure perfection in this Royal Blue dress. Prince Harry is so handsome and proud. Great shots! What do you think about Meghan’s look? We are thrilled to see her in full royal attire.